You Are Here: Home / SOLAR NEWS: Our Blog / Uncategorized / Are Micro inverters worth installing? How good their performance is. Their opinion is that the conventional inverters come nowhere near when it comes to power output. The monitoring system. They just admire the feature that the user can know at all the times if the system is functioning properly or not. The ease at which it can be installed. 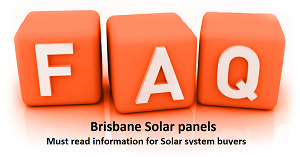 Their claim is that it’s easier to install when compared to a conventional solar systems. They remark on their unreliability. The fact that they get super-heated on the roof top and most of the installers claim that they have an immense failure rate. Another claim of theirs is that the performance of micro inverters is mostly exaggerated. People who have installed micro inverters are always anxious and will call the customer service anytime the output on the monitoring system changes even slightly. My opinion on this is that the shortcomings of the micro inverter can be overcome by good and skilful engineering. It is not an impossible task to build a micro inverter that can remain undamaged in Australia’s weather conditions for more than 25 years. Although it will take its own time. And probably before that, we’ll see more poor quality products hit the market first! As far as customer service debate is considered I feel that a proficient software is required that will be able to guide the customer and notify when it’s really needed to call the customer service. Talking about the performance, there is much data that shows that over a whole year, the average output of a micro inverter system is 8% more than conventional inverters. This too when they are connected to identical panels. Plus in the coming years that number is going to rise as more efficient micro inverters will come in the market. As for now, 3 months have gone by and they are working as well as they were on the first day. Hell Yeah! I got to admit that I am blown away by their face melting awesome operation. On a fine day in the month of November, my 6kW system is able to generate around 45kWh. That’s too awesome for a 6kW system which is facing directly towards North at 15deg pitch. The website PVOutput.org indicates high performance systems in the area I live in. Central inverters generate around 38kWh on the same day. That is about 18% lesser. Although I need to operate the system for a longer duration than 3 months to come to any final judgement. But for now, I’m doing very well with my micro inverter.